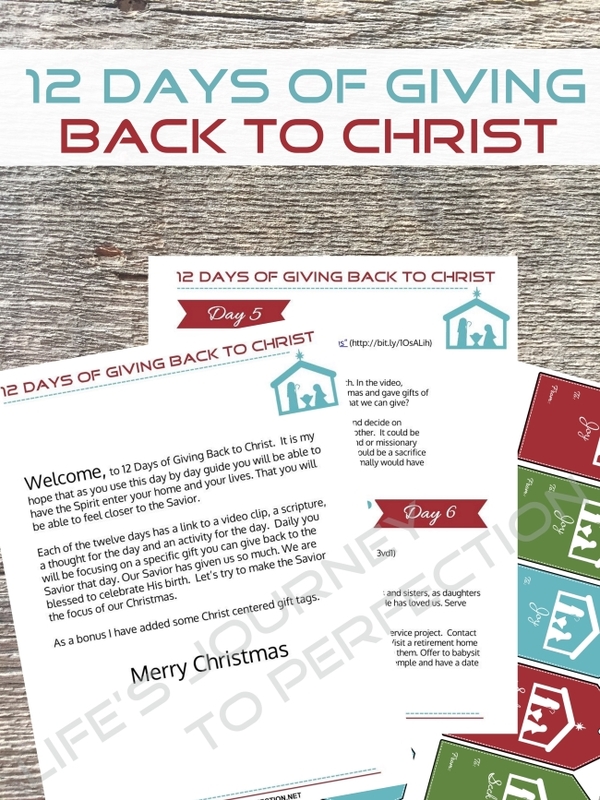 Last year, I created the 12 Days of Giving Back to Christ Ebooklet, as part of a Christmas packet that was sold with a group of other bloggers. This year I am offering the 12 Days of Giving Back to Christ for FREE! The packet includes 12 days of giving a gift back to the Savior. Each day includes a video clip idea, scripture, thought and activity. This can most definitely be used in correlation with the #LIGHTtheWORLD initiative. 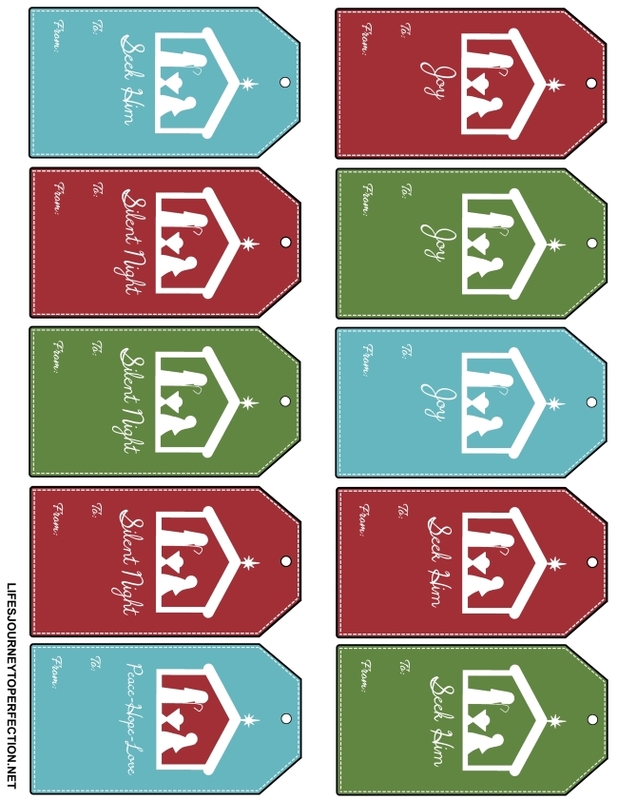 As a bonus there is a page of Christ Centered Christmas Gift tag included. We hope that this Christmas Season, you and your family may come closer to the Savior, as you focus on his birth and the great gift that was. ** Note when converting it to pdf it broke the links, that is why there is a bt.ly link next to the video. Just copy that link and paste it into your search engine and it should pull it up.